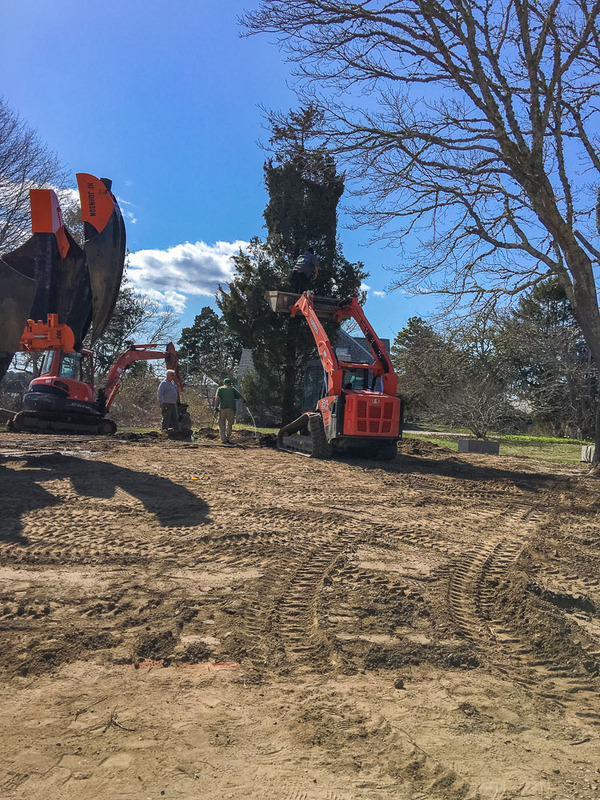 Landscape Architectural Project Images, Osterville, Ma. 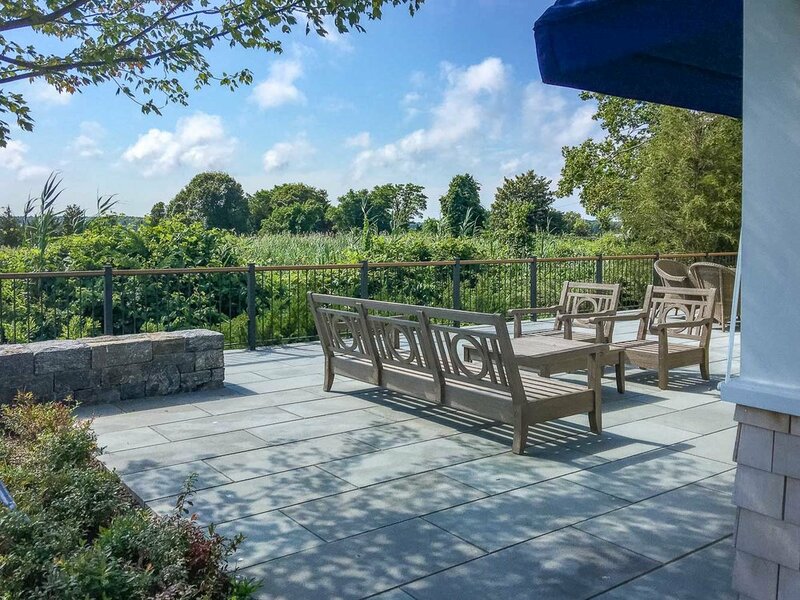 Kimberly Mercurio provided the landscape architecture for this newly constructed home in Osterville, Massachusetts. 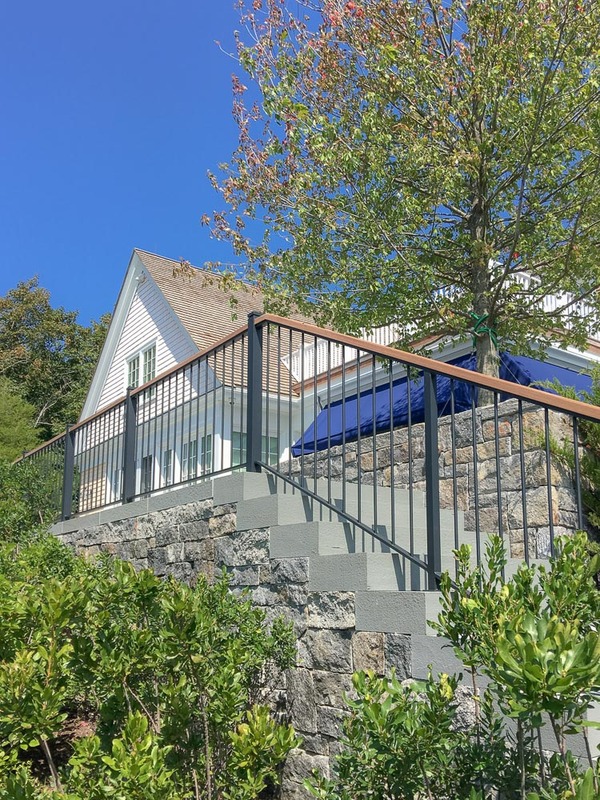 This traditional Cape Cod style home is on approximately two acres and has waterfront views. The project began in 2016 with a completion date planned for the Spring of 2018. The landscape has an understated design in keeping with the wishes of the client. 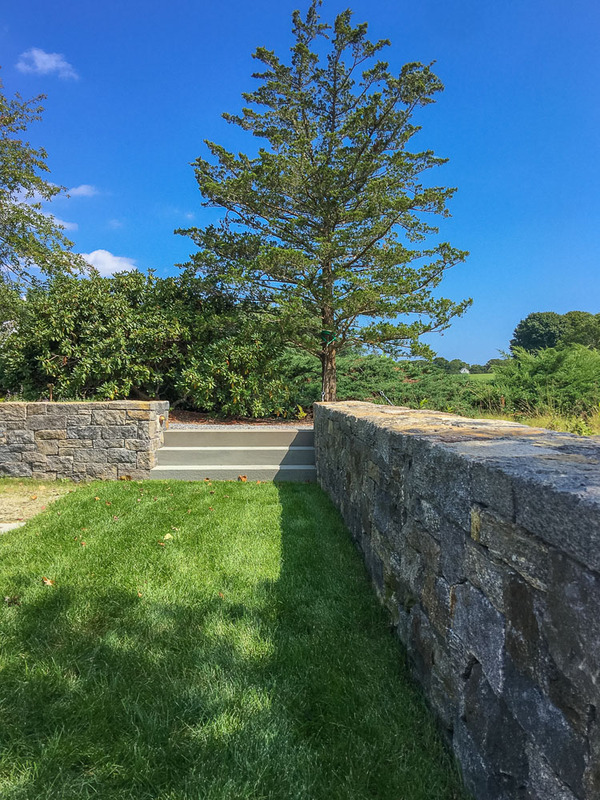 It incorporates an extensive meadow, granite walls, bluestone terrace, railings, outdoor barbecue, fences, gates, and planting. The site was designed following sustainable practices. 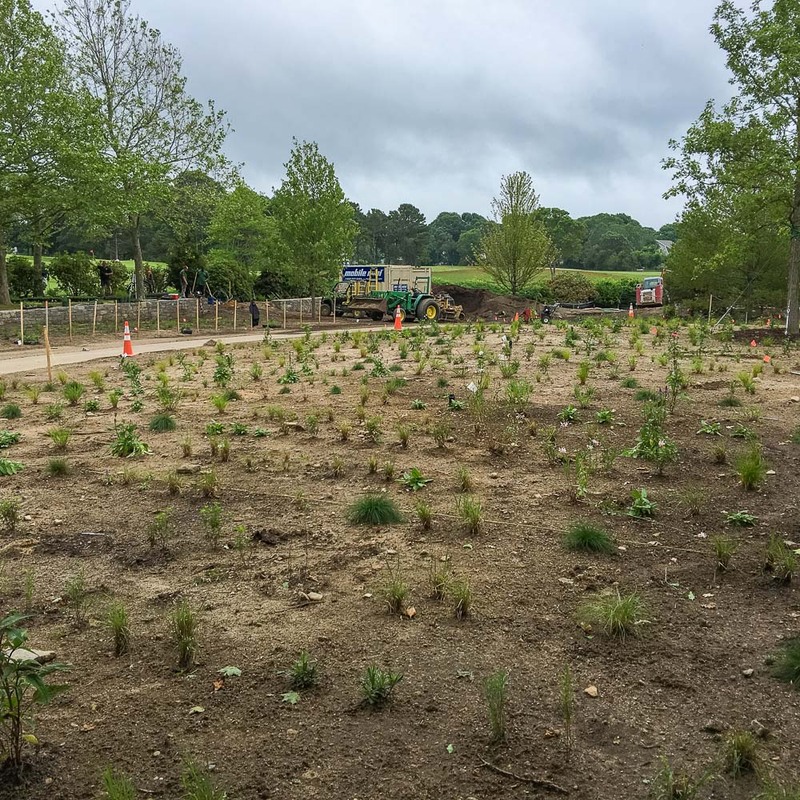 Native plants were primarily used including a "no mow" lawn comprised of a creeping red fescue mix that is very drought tolerant. The pathways are permeable gravel. Kimberly complied with Conservation Commission requirements and arranged for permitting. 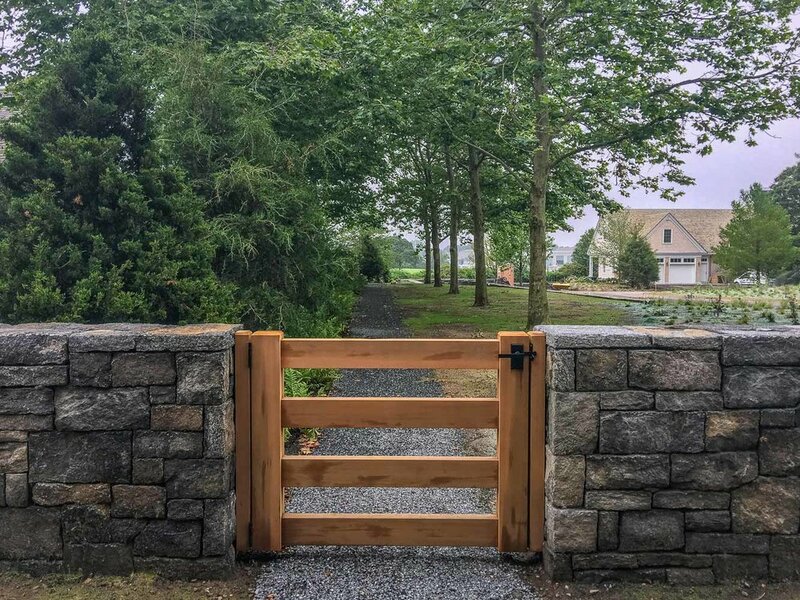 Contractors on the project included: Johnson Tree Farm, Anderson Landscape Construction, and Cafco Construction who was the general contractor on the home. The images below illustrate the process of constructing the landscape.